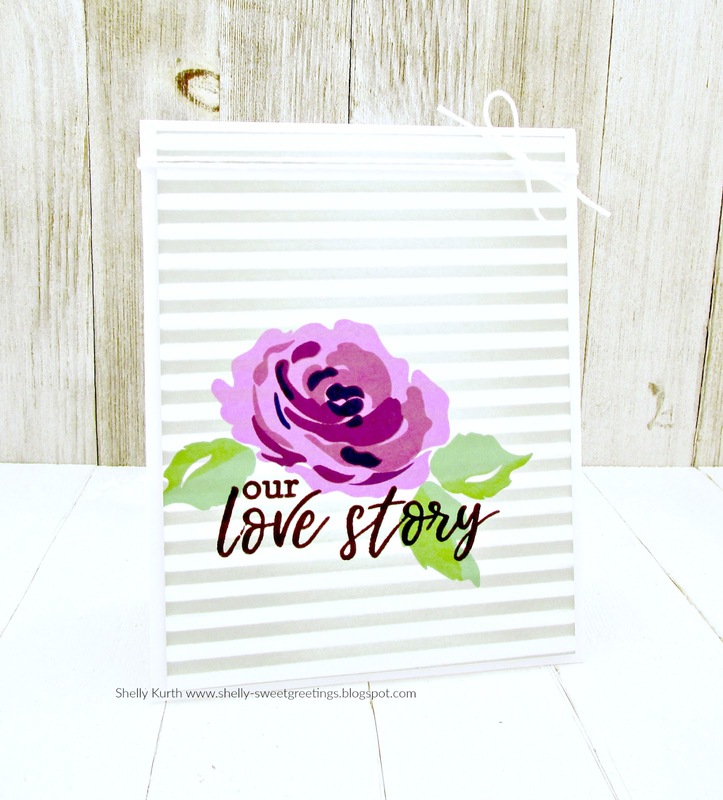 Swooning over your lovely purple bloom, Shelly - and the stenciling really makes it pop! LOVE this! Incredibly pretty, Shelly. That bloom just shines. And the strikes are so sophisticated... which is so Altenew! Oooh, Shelly!! This is so gorgeous!!!! The purple on the gray and white stripe is so fresh!!! The simplicity of this card is stunning! So glad you could play along with us in this month's Altenew Inspiration Challenge! This is a perfect beauty! 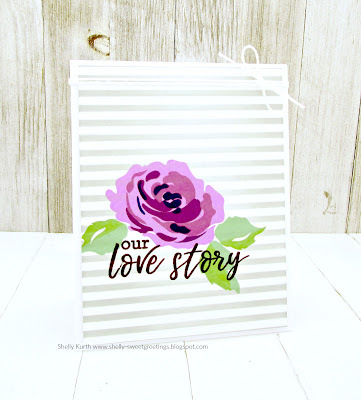 Oh Yay for stenciling, I keep thinking I 'should' do some but keep forgetting, this little beauty is a great motivation inspiration, thanks so much Shelly!